It's been a while since I posted a recipe! 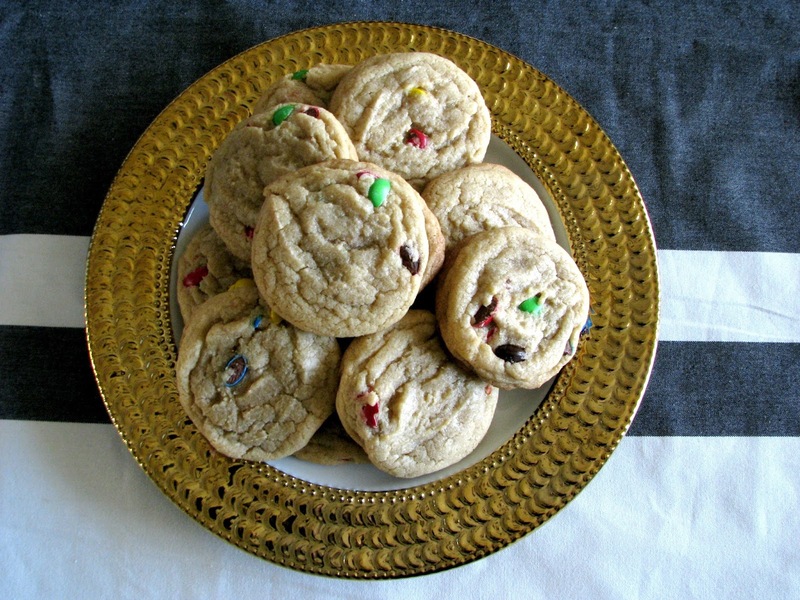 I wanted to share this super simple and delicious cookie recipe. Every year at church we grab a cookie tin, fill it with cookies and return it, so that those cookies can then be delivered to people who are homebound during the holidays. Kate and I got to work trying out this new recipe and made extras to have at home. 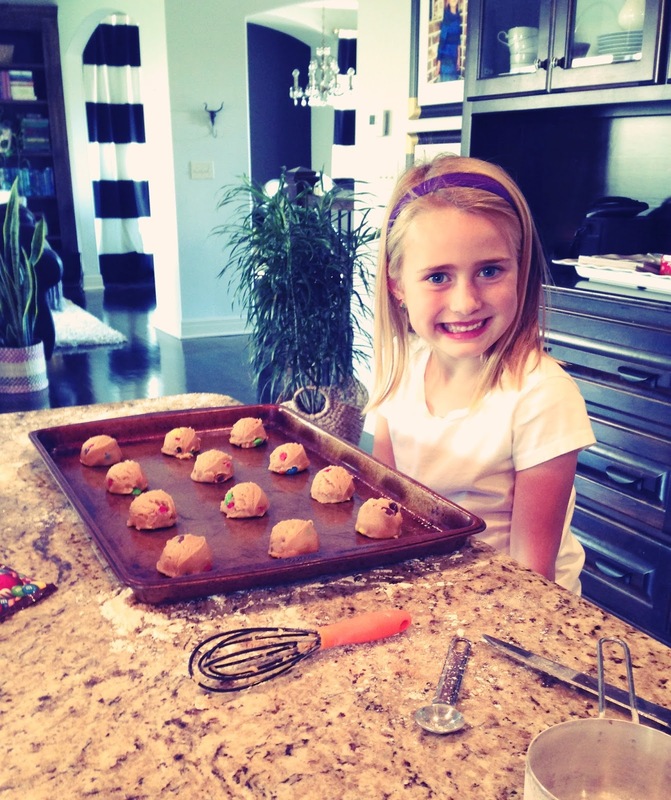 I love teaching my kids about giving and Kate loves to be in the kitchen with me, so it's a definite win/win. 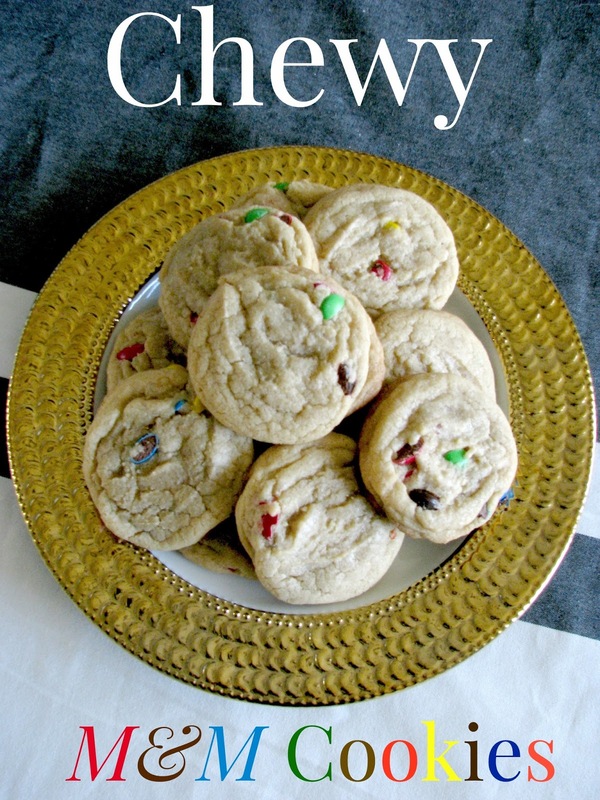 These taste like chewy store bought cookies, and they did not last long at our house! It's also a good way to use up all those M&M packets from Halloween! The thing that drew me to this recipe was the simple ingredients I always have on hand (besides the M&Ms). Thank you Lil' Luna blog for sharing! 2. Mix flour, baking soda, salt in a bowl. 3. In a separate larger bowl, combine sugars and butter. Then add egg, egg yolk, and vanilla. 4. Slowly add flour mixture to wet mixture. 5. Form dough balls and place on greased baking sheet (I spray mine with coconut oil spray). 6. 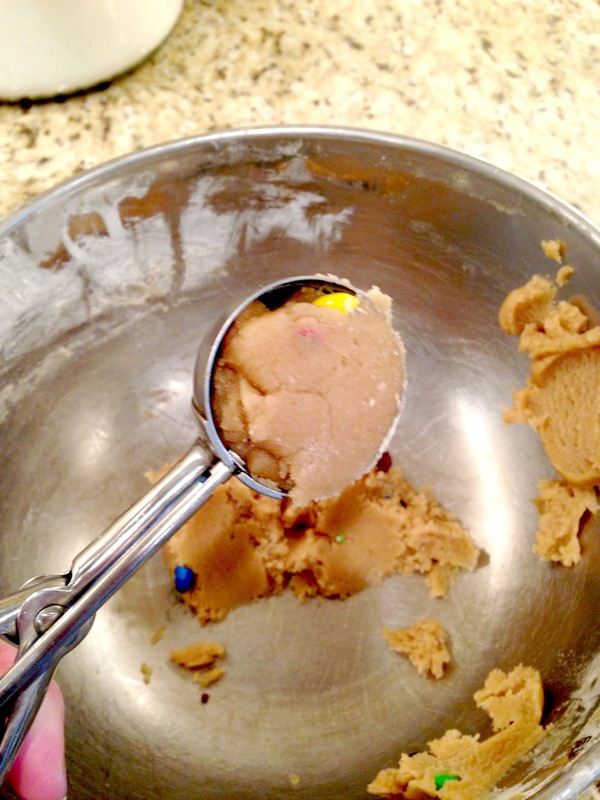 Bake cookies until edges are done, around 10-13 minutes (check often!). 7. Set aside to cool and enjoy! This recipe made about 2.5 dozen cookies. Tip: I always use a melon baller to get my cookies equal size.